When I first started using Cortana four months ago, she immediately became a useful asset for things like reminders and search. Over time she got much better at giving me local information about places, events, and restaurants automatically. The other thing that improved greatly was her voice and personality. She started to tell jokes, sing songs, answer trivia related questions and much more. Over the four months I grew attached to the personality, and got used to the voice. When Cortana officially arrived in the UK they did the expected localisations work, like using Celsius rather than Fahrenheit. But they also changed her voice – and therefor her personality – to be British, and for some reason this means she is a lot more formal and a lot less friendly. 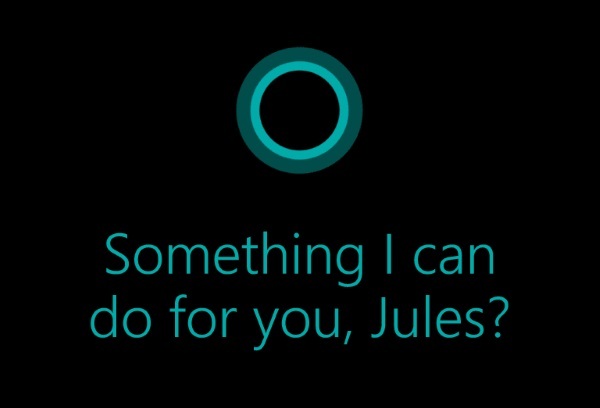 In the United States, Microsoft’s personal assistant is voiced by Jen Taylor – the original voice of Cortana from the Halo series of video games. Her voice is friendly and bouncy, and has lots of emotion. Over the pond things are different, Cortana has been voiced by someone else for the British market. My initial reaction was that this new voice sounded slightly robotic like a generic ‘sat nav’. This is obviously not a good thing for the technology. I’m not really surprised though. There is no single British accent, and unless you’re going to provide dozens of options, you’re probably going to choose one that sounds like ‘BBC English‘. It turns out that the way a computer speaks to you is absolutely fundamental to the way a vocal user interface works. As we move into this world of natural voice interaction, we need to understand what this means on the human level. In this case it feels to me that my personal assistant has left her job, and has been replaced by someone else. Against my wishes. Localisation aside, Cortana is pretty much the full featured version that you get over in the United States, for example here is what Cortana showed me on Saturday the 16th of August while I was studying in the library. As you can see there’s a lot of information here and almost all of it stuff I wanted to see, though I must admit I could quite happily see some improvements in how she finds potentially relevant news. Ideally I’d like to have something like Techmeme‘s ability to surface technology news. Overall, I’m extremely pleased with Cortana and I’ve already noticed improvements in the voice to make it less robotic. But I have to admit, I’d much rather keep the original voice of Jen Taylor and combine it with the ability to tell me temperatures in Celsius.